A contribution to Ailsa’s travel-themed Photo Challenge, Details, and also a second contribution to The Daily Post’s Photo Challenge, Scale. The first contribution was here. 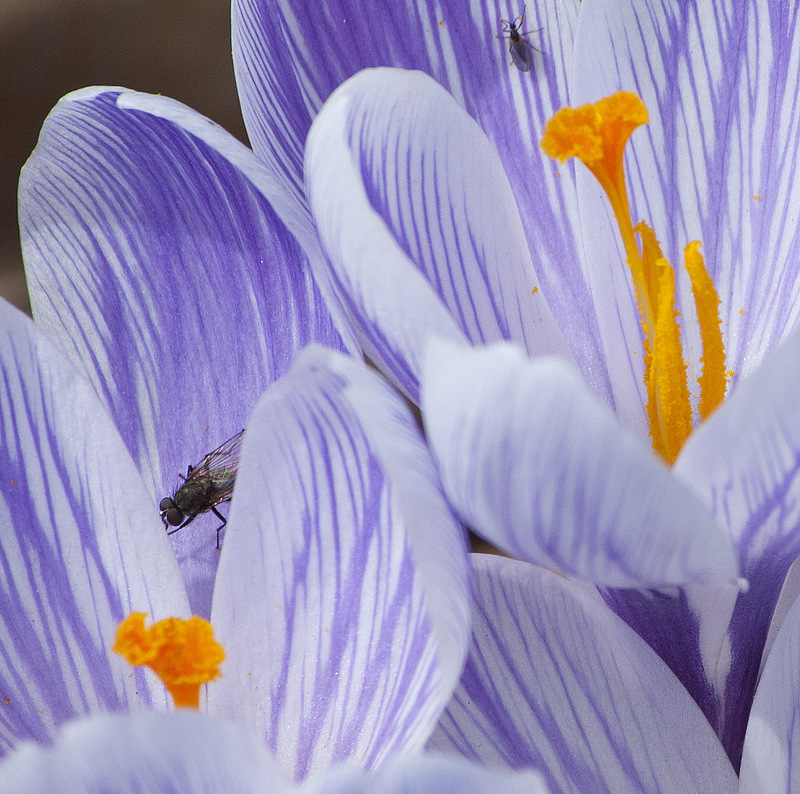 This entry was posted in Nature, Photography and tagged Crocuses, Details, Insects, Photography, postaweek, postaweek2015, Spring, Travel, Weekly Photo Challenge. Bookmark the permalink. How beautiful! I’m ready for spring too. There was snow last week and yesterday morning, the de-icer that I sprayed on my car windshield froze! I had to de-ice my de-icer! 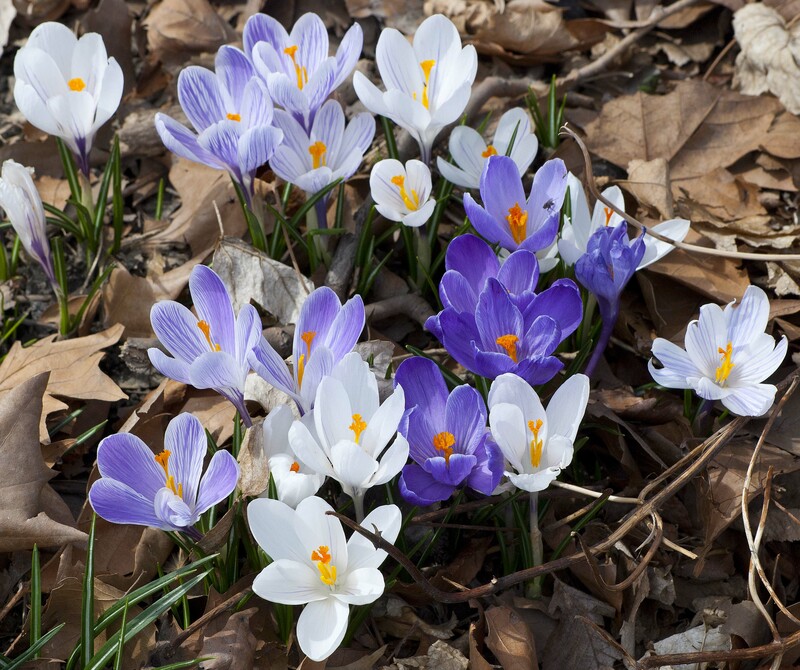 :-) But today the weather is milder and spring flowers are beginning to emerge. I loved seeing the detail. 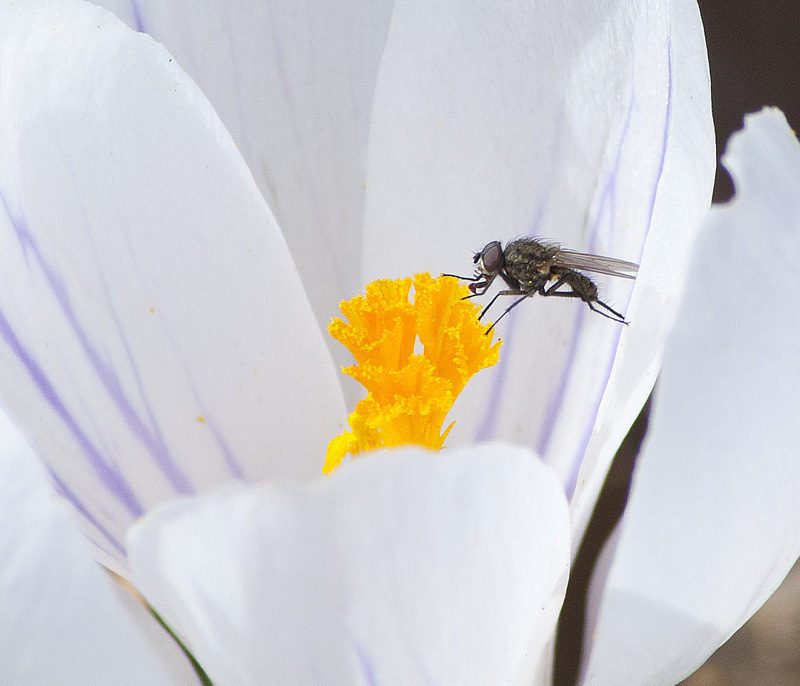 The insects were not what I expected to see but provided an incredible richness to your photos. Hey Vladimir, didn’t know you were a flower guy! Nicely done! Early sounds really good. Unlikely, but wonderful. you had me wondering for a minute how all that snow could have vanished and given way to flowers so quickly. I see the fly in the first photo, what a great job you did zooming on it! Yeah! No crocuses up here, just 6 feet of snow. I was in your neck of the woods last weekend, and gazing out at the pretty Bronx River from a metro north train. Do you ever Kayak there? Yikes! I’ve canoed in the Charles River, and the traffic sounds are ever-present, but no recycling centers right on the river. You’d think the wetlands laws would help the city decide to move the recycling center away from a waterway. Well, apart from Jamaica Bay (which is federal) and some on Staten Island, we don’t have too many wetlands in NYC. Too much development. But people are proposing to bring them back as protection from storms like Hurricane Sandy. Wetlands is anything bordering on water, rivers, lakes, swampy areas, etc. You have plenty of wetlands, they are just paved over. Quite so… and it’s very unlikely any of them will be unpaved.